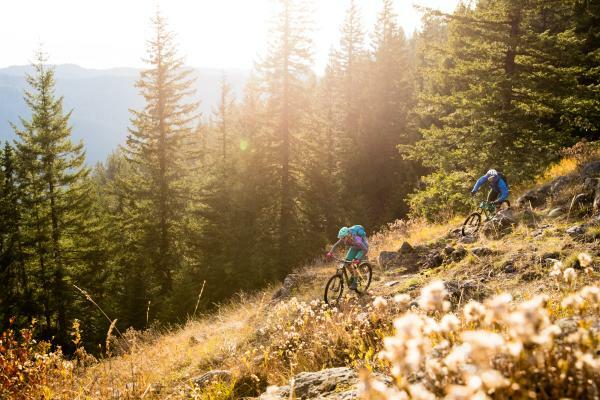 Oakridge, Ore - Known as the "Mountain Bike Capital of the Northwest," Oakridge is turning heads by showcasing a community that&apos;s ready to welcome visitors and residents to its outdoor wonderland. Recently recognized in Singletracks.com as one of the 10 Best US Mountain Bike Towns with the Lowest Cost of Living, Oakridge provides moutain bike services for novices to experts and much more. While mountain biking remains king in Oakridge, Mayor Jim Coey and a group of hardworking elected officials, agency staff and volunteers are planning for a future that includes more cyclists, OHV riders and outdoor enthusiasts. What began in 2016 as the East Lane County Bicycle Tourism Studio is now the Connect Lane project. Connect Lane features a vision for creating an interconnected series of cycling routes that will allow cyclists to connect between communities while, to the extent possible, staying off state highways. Utilizing local, county, state and Forest Service roads, Connect Lane will create opportunities for road and gravel cyclists to experience day rides to and from communities, and to create itineraries that provide single or multi-day rides from community to community. Cycling in Oregon generates over $400 million annually and the future is bright as participation in outdoor recreation continues to grow. "Our goal is to have two routes (Connect Lane 1 & 2) signed by summer 2018 and continue building out to reach our vision of connecting all Lane County communities in the years ahead," noted Oakridge Mayor Jim Coey. "We have teams of people working on various elements of the plan and we are always eager to add more people to these teams. In fact, Greater Eugene Area Riders or GEARS has just come on-board to assist in developing road cycling routes for day rides. " Connect Lane 1 connects McKenzie Bridge to Oakridge and Connect Lane 2 connects Oakridge to Cottage Grove. Singletracks.com features trail maps, reviews, blogs, forums, videos, race information and more, Singletracks.com stays connected to everything mountain biking.